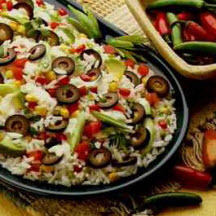 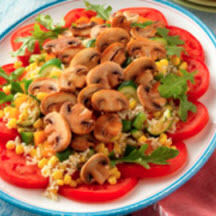 CooksRecipes has quality, kitchen-tested recipes for salads featuring a large variety of rices and grains, such as quinoa, tabbouleh and bulgur, as a main ingredient. 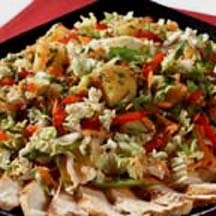 Overflowing with vegetables and pineapple, this Asian-style salad is wonderful served with grilled chicken, pork or beef. 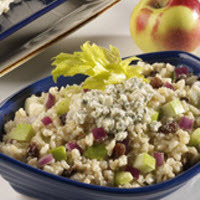 A delicious brown rice salad with chopped apples, red onion, celery, raisins and blue cheese tossed in a white wine vinaigrette.